During the holidays, Facebook has many gifts to give to brands to help them increase consumer engagement, boost campaign performance, and maximize social reach. In fact, many brands have found Facebook to be a must for their holiday marketing. 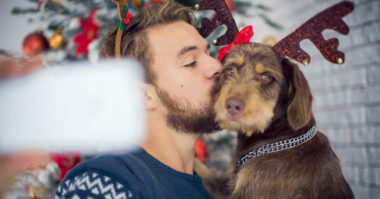 To wrap up the many marketing benefits of using Facebook during the holidays, SocialMediaExaminer.com shared the top nine tactics to brighten a brand’s holiday marketing. For brands to earn more holiday sales through social media, it’s essential to know their key dates. The most popular seasonal shopping days are Black Friday, Small Business Saturday, Cyber Monday, Hanukkah, and Christmas. And consider including other smaller, non-traditional, and simply fun holidays to maximize your sales opportunities. A content calendar is easy to create through a Word document, a spreadsheet, or using a project management tool. Keep in mind that Facebook is a visual platform when crafting holiday posts. That’s why it’s smart to use images, videos, and animated GIFs to capture audience attention. After choosing which holidays the brand wants to recognize, celebrate them through the content. This will ensure that posts are relevant and resonate with audiences. Give fans a chance to know the brand and its people better by inviting them into the business. Craft content that spotlights long-time employees or shares a major company milestone. Just make sure that the content tells the story behind and inside the brand in a warm and personal way. Increase engagement by creating content that the audience can relate to on both emotional and personal levels. This content should be highly relatable and make people laugh, cry, smile, or warm their hearts. Offers entertaining or educational information. Fits the holiday News Feed context of warm, fun, feel-good stories. Meets the needs of the audience, their friends, and their followers. With most people using mobile today, it’s a must for digital ads, posts, and any related online pages to be optimized for mobile. Mobile ads are an excellent way to target consumers shopping on the go and direct them to both online and brick-and-mortar businesses. The Facebook ad formats that tend to perform best on mobile are video, Carousel, Slideshow, and Canvas. Keep in mind that mobile friendliness matters for much more than merely Facebook ads and should apply to all types of Facebook content for maximum audience reach. With Facebook, brands can create special online or in-store offers that can be shared on business pages. These deals can include special bundles, incentives, and discounts. And while these offers are especially relevant during the holiday shopping season, they should be used all year to increase shares and sales. Sometimes, websites need visitors to make more than one visit to earn their business. That’s where retargeting comes in by allowing a brand to encourage the visitor to return. Research shows that ad performance and conversion tend to be more effective when a brand uses the Facebook pixel tool to retarget prior visitors. It also helps that Facebook now gives priority to ads that use this feature. Host a Facebook live event on your business page and invite all your fans, friends, and followers. A new Facebook feature even enables pre-announcing live video events to spread the word ahead of time. During the event, include interactive elements like games, giveaways, flash sales, and Q&As only available for audiences watching the live event. Keep up with the trends in social media. Contact MDG Advertising.